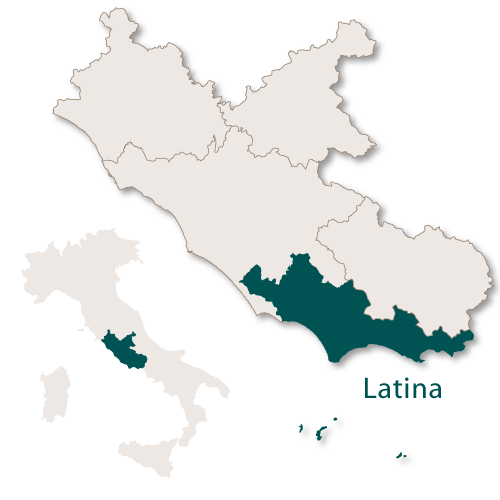 The Province of Latina is the smallest of the provinces in the region of Lazio with an area of 2,251 sq.km. 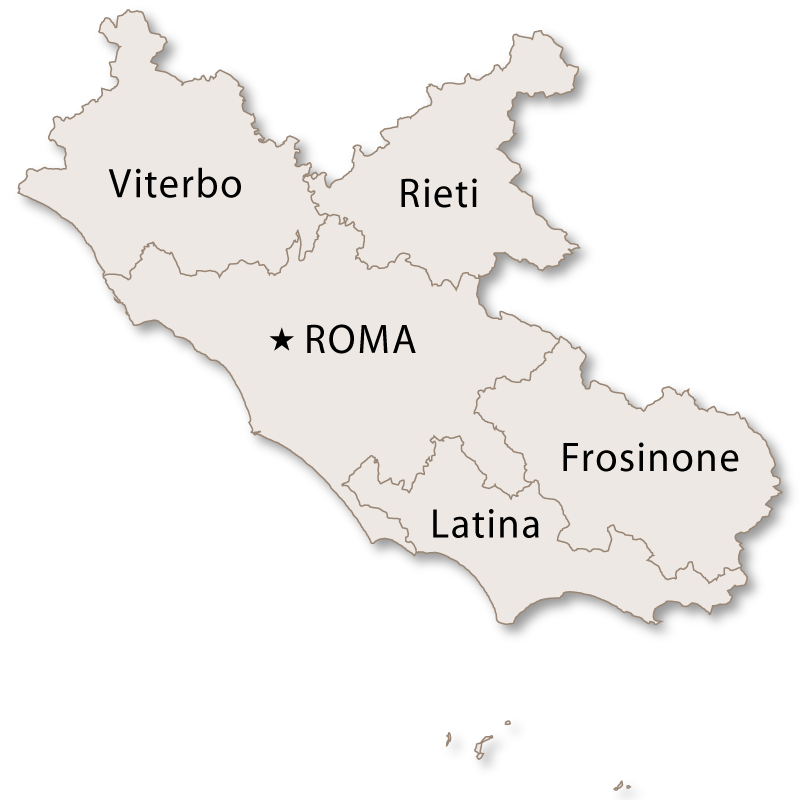 It borders the province of Frosinone to the east, the province of Roma to the North, the Tyrrhenian Sea to the west and the region of Campania to the south. 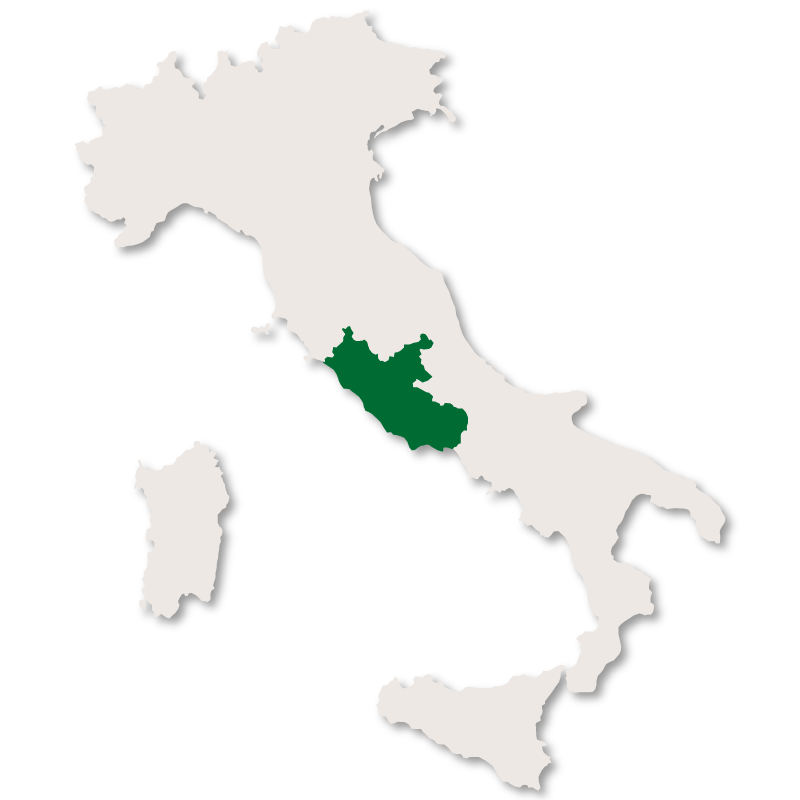 The south and north east of the province is hilly and mountainous and includeds the Aurunci, Ausoni and Lepini mountain ranges. The highest peak at 1,533 metres is Monte Petrella which is part of the Aurunci mountain range. 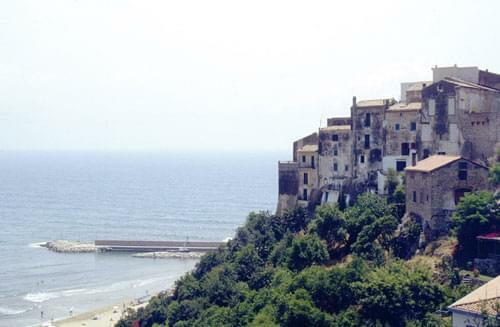 The whole province is dotted with small medieval settlements known as borghi. The majority of the population used to live in these borghi and survive by agriculture and cattle farming but now most people commute to Rome or Latina for work. The rest of the terrain occupies a plain known as the Agro Pontino which extends down to the Tyrrhenian sea where it was originally nothing but unhealthy marshes. Starting in 1930 these marshes were dried out and new towns and villages were built. The beaches in this province consist of long sandy beaches with bathing establishments and plenty of free beaches. They are considered to be some of the best beaches in Italy. 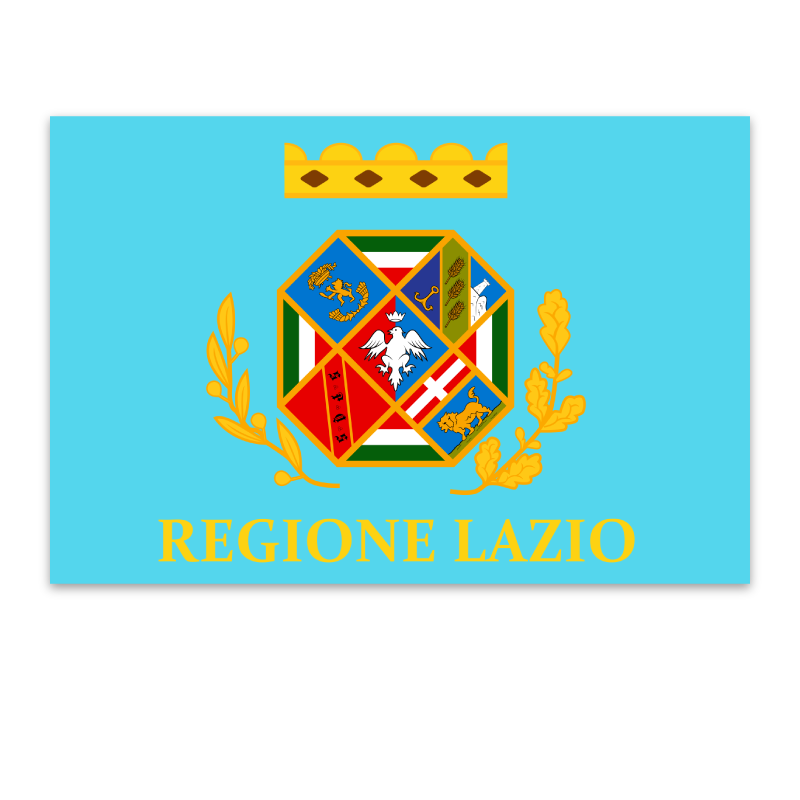 This small city is the capital of the province of Latina which is the southernmost province in the region of Lazio. This is one of the areas of Latina that was nothing but mosquito ridden marshes until the land was drained and settlements were built in the 1930's. 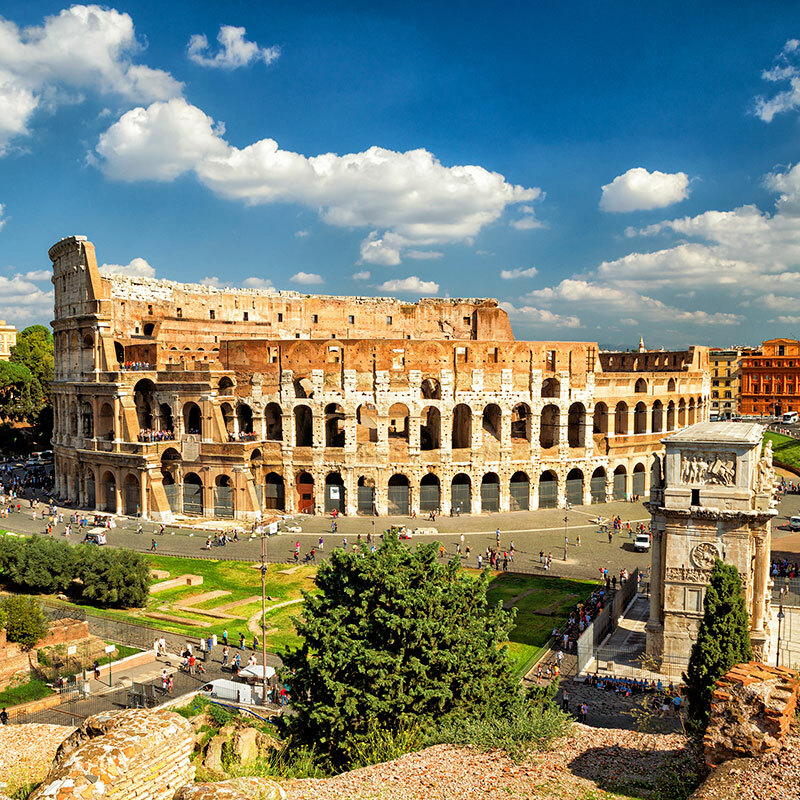 The city of Latina was founded on 30th June 1932 by Benito Mussolini and was inaugurated later that year on 18th December. It was originally called Littoria but was renamed Latina in 1946 after World War II. Latina was built on an octagonal plan with the main square, Piazza del Popolo, in the centre with straight roads radiating from it. Being a relatively new city there is little of historical interest although the centre itself is pleasant and the surrounding countryside is beautiful. The Palazzo Comunale overlooks Piazza del Popolo, and the upper floors of this building house the municipal offices, the National Facist Party and the Trade Unions. The ground floor contains a Gallery of Modern Art which was established in 1936. The attached Clock Tower is 32 metres high and has a belfry containing a bell designed by Frezzotti. The Cathedral, with three tall arches supported by pillars, was completed in 1933 and stands in Piazza San Marco. 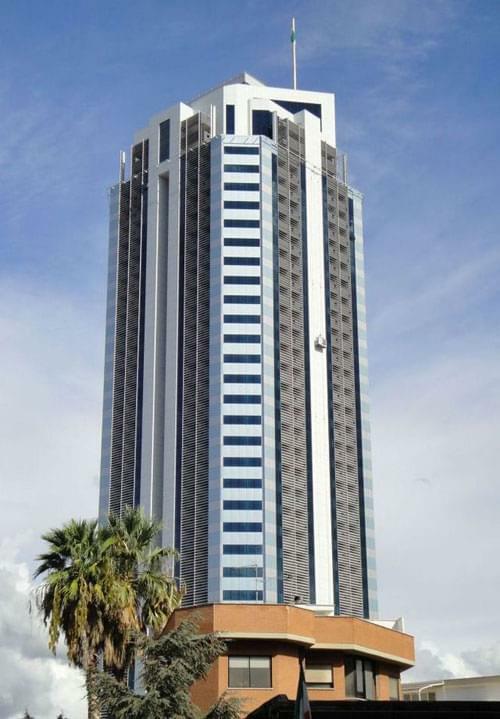 Torre Pontina is the tallest building in the city and is in fact the sixth tallest in the whole of Italy. 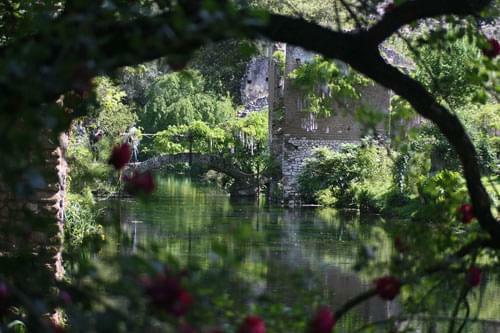 Not far from the city you can find the stunning 'Garden of Ninfa'which has been described as the most romantic garden in the world. Covering an area of 105 hectares it is an Italian National Monument and is administered by the Fondazione Roffredeo Caetani. It is open to the public at particular times between April and November nearest town Norma which is around 14 km north east of Latina. 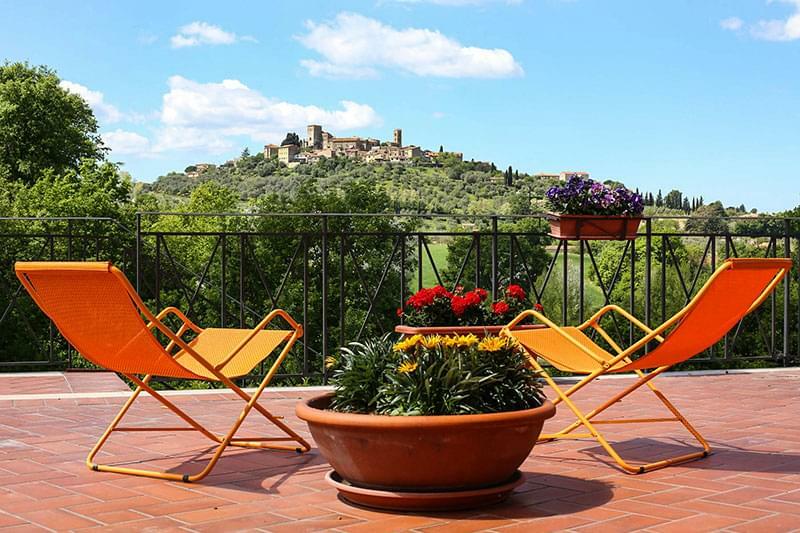 It is located on a steep Karstic hill, between the Monti Ausoni and Monti Aurunci ranges and its economy is mostly based on agriculture. The Monastery of Sant'Onofrio, constructed in the 11th century. The Parish church of San Michele Arcangelo, built in the 11th century over a pre-existing pagan temple. The Church of Annunziata, built in the 13th century. Campodimele is infamous for the longevity of its residents where the average life expectency is 95 years. Both red and white Italian DOC wines are produced here and the old town is surrounded by Polygonal walls. The Temple of Hercules which is one of the national monuments of Italy. Santa Maria della Pietà,originally built in the Romanesque style but was rebuilt in the 17th century. The Church of Santa Oliva, built in 1467 over the top of an ancient Roman temple dedicated to Janus. Ponte della Catena which is a Roman 'chain' bridge. Church of St. John the Baptist, built in the 16th century. Church of St. Francis, erected in the early 16th century. There are many greenhouses here as this area produces early crops of fruit and vegetables for sale in Rome. Fondi is also situated on part of the 15 kilometre long, sandy beach which stretches from Sperlonga to Terracina making it a popular holiday destination. The Castle which has round tower with a height of over 30 metres and is the symbol of the city. The castle was built in the 14th century along part of the ancient Roman walls. The Palazzo del Principe, adjacent to the castle, was constructed in the mid 15th century. The Cathedral of St. Peter, built in the 14th century over a Roman edifice which has been identified as being a temple of Jupiter. The Collegiata of Santa Maria Assunta, built in the 15th century and with a large, wide entrance staircase. Formia is a lovely coastal resort which was extremely popular during the imperial era. It is famous for its mausoluem which has been identified as the Tomb of Cicero. It measures 83 metres by 68 metres and has a 24 metre high tower. A Roman cistern dating back to the 1st century BC and one of the largest in the world. The Church of San Luca from the 15th century where recently some frescoes of Episodes of the New Testament and Madonna del Latte have been discovered. 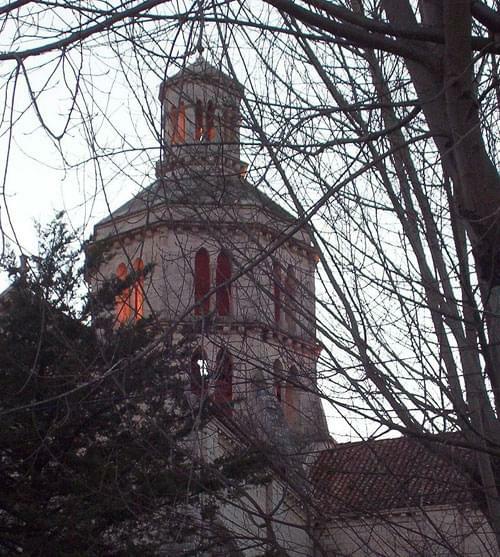 The Renaissance monastery and church of Sant'Erasmo. The town is split into two section by the River Pontone, the older section having been partially destroyed during World War II. The church of San Michele Arcangelo which was built during the 11th century in an Arabic-Norman style. 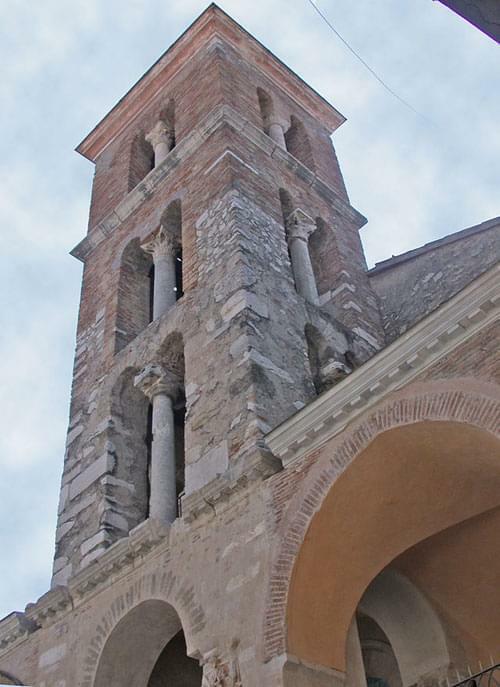 A 12th century Bell Tower with Byzantine decorations which belonged to the destroyed church of St. Maria Maggiore. The Sanctuary of the Madonna della Civita is located on a mountain, 3 kilometres away from the town. This is only a small town but there are some very interesting sites to visit. Roman ruins consisting of an amphitheatre, a theatre in opus reticulatum, an aqueduct and a statue from the late Empire age. The Baronial Castle built in the 9th century. The Church of St. Francis builit in 1360. The Church of Annunziata built in the 14th century but then damaged by Turkish pirates in 1552, the French-Polish troops in 1799 and finally by a fire in 1888. It was fully restored in 1930 when all the Baroque additions were removed and ancient frescoes were discovered. The Church of St. Peter, built during the 11th and 12th centuries with a staircase and four arcades from the 14th century. The Thermae of Suio are a few kilometers outside the city and have been well known and used since very ancient times, having been used by both Pliny the Elder and Lucanus. Again, Priverno is only a small town but there is plenty to do and see here. The Cathedral of Santa Maria Assunta which was consecrated by Pope Lucias II in 1183. San Benedetto which was built by Benedictine monks in the 7th century and contains some 13th and 16th century frescoes. San Giovanni Evengelista, a church built in the 9th century and later rebuilt in the 13th century. I has many frescoes including the 14th century story of St. Catherine and the 15th century Madonna with Child. The Communal Palace which was built in the 13th century. The famous Abbey of Fossanova which is where the town's patron saint, St. Thomas Aquinas, died on 7th March 1274. 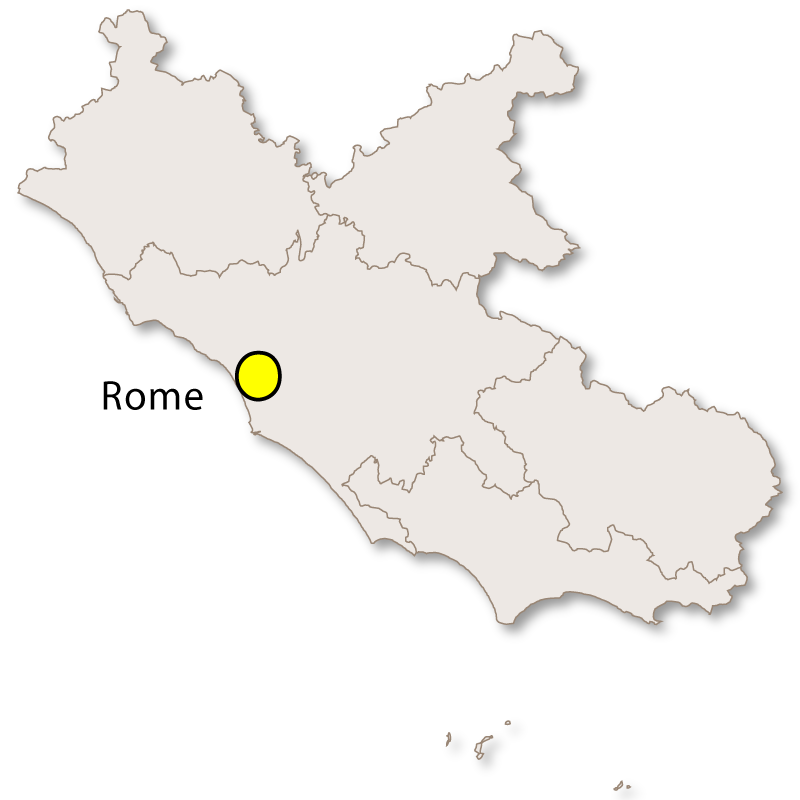 A coastal town and popular seaside resort situated halfway between Rome and Naples. It is well known for its beautiful, long, sandy beaches as well as a series of smaller beaches backed by rocky cliffs. 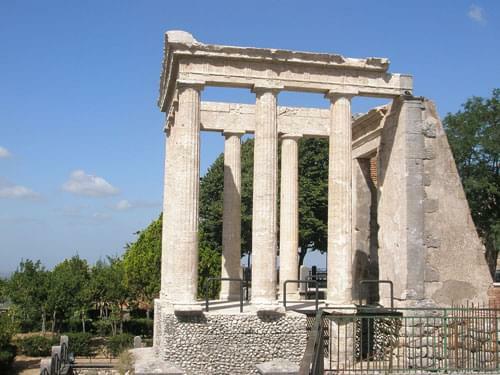 The museum in the grounds of the former Villa of Tiberius is the main attraction in Sperlonga. The villa had a grotto in which there were some famous sculpures and these are now in the museum. The other building in Sperlonga that is worth visitning is The Church of Santa Maria, built in the early 12th century and now used for various cultural events and shows. The church also has some medieval mosiacs which were discovered during some recent renovations. This town is an important tourist resort and the centre is characterised by examples of Fascist architecture. This is a modern town, built on the site which was occupied by the old town. The main piazza in the town is the original Roman forum and the paving slabs and inscriptions are well preserved. 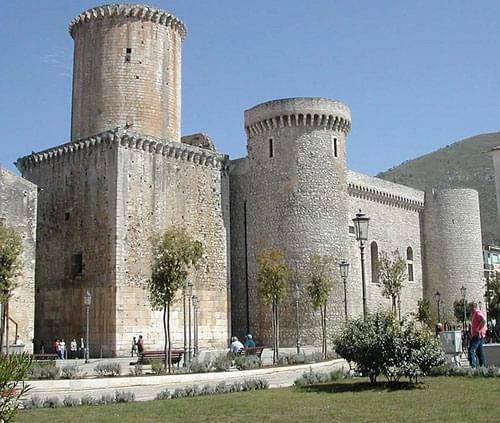 There are some wonderful Medieval buildings to see in Terracina such as the Cathedral of SS. Pietro e Cesareo which was consecrated in 1074 and then subsequently renovated in the 12th and 18th centuries. The vestibule is approached via an eighteen step staircase and supported by ten ancient columns resting upon prostrate lions. There is also the Gothic Palazzo Venditti which was built during the first half of the 14th century is next to the Cathedral. 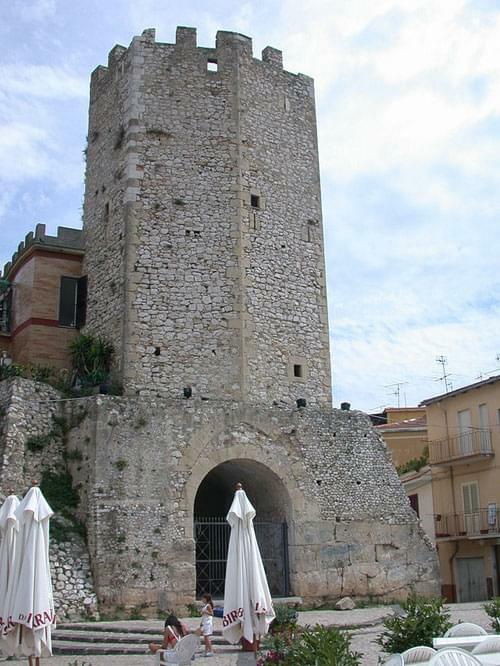 The most unusual piece of architecture in the town in the 13th century Torre Frumentaria, 'Wheat Tower' which now houses the Museo Pio Capponi.